LG announced the G6 in Barcelona at MWC 2017 today, confirming the heavily leaked handset's existence. Specifications are largely as expected, but LG has not announced specific pricing or availability information today. (For the US, you can probably expect that news to come via individual carriers, not LG.) The phone will come in three colors - white, silver, and black. 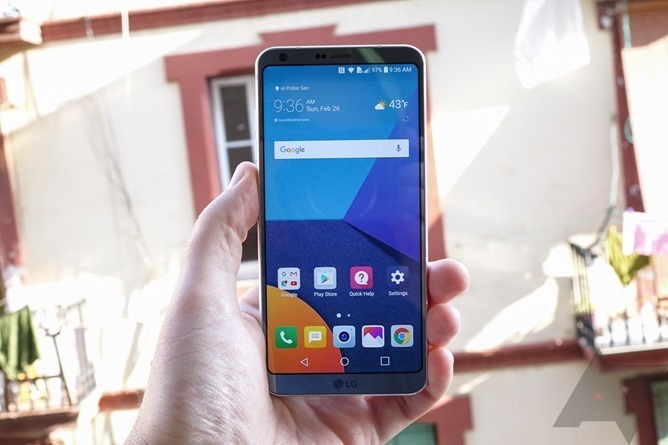 The G6's 5.7" QHD (2880x1440, 564PPI) LCD display - with HDR10 and Dolby Vision support - is configured in an 18:9 aspect ratio, making the phone actually slightly slimmer than the outgoing G5, while the display itself grows taller. The result is a phone with a rather striking screen-to-bezel ratio, though not as dramatic as, say, Xiaomi's Mi Mix. You get a Snapdragon 821 processor, 4GB of RAM, 32 or 64GB of storage (most markets get 32GB), 3300mAh battery, USB-C with Quick Charge 3.0, IP68 water and dust resistance, a rear fingerprint scanner, dual 13MP rear cameras, 5MP front camera, and a single bottom-firing speaker. Some select markets in Asia will also get LG's Hi-Fi Quad DAC in their G6 variants, but this feature is not coming to any non-Asian markets. Wireless charging on the G6 will be a US exclusive (LG gave some wishy-washy reasons for this, but my guess it is boils down to US customers asking for it). Android 7.1.1 will be loaded out of the box, with the latest iteration of LG's G UI, which really doesn't seem all that different from past iterations, if I'm honest. As you can see, the G6's display is rounded at the corners, giving the phone a rather... interesting aesthetic. The wider-format display is also, LG claims, allowing more efficient use of screen real estate in some of LG's preloaded apps, such as the camera, which now has a dedicated "photo roll" area at the top of the interface (shown below). The dual 13MP cameras are a slight change from those on the G5 and V20, with the biggest upgrade coming in the form of the wide-angle lens. On LG's 2016 flagships, that camera had used an inferior 8MP image sensor that produced noisier, lower-quality images. 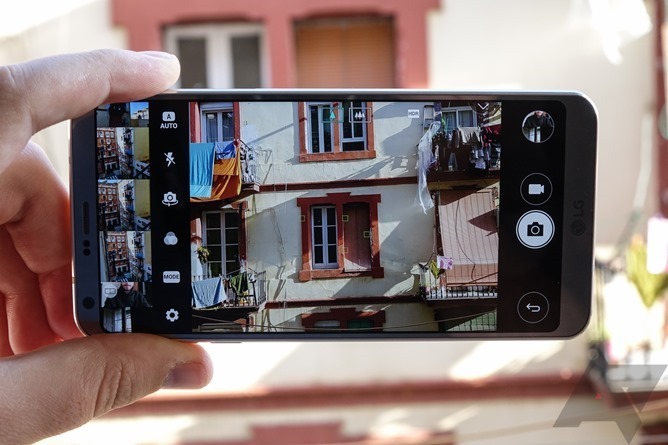 This time, the G6's cameras use identical 13MP sensors, so the quality of images should be much closer when comparing the two different cameras. 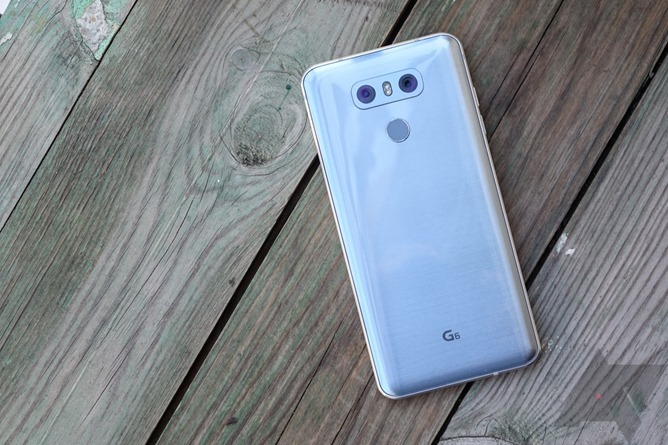 The phone's dimensions are 148.9x71.9.7.9mm, smaller apart from thickness when compared to last year's G5, which measured 149.4x73.9x7.7mm. It weights 163 grams. We'll update this post as we learn more. 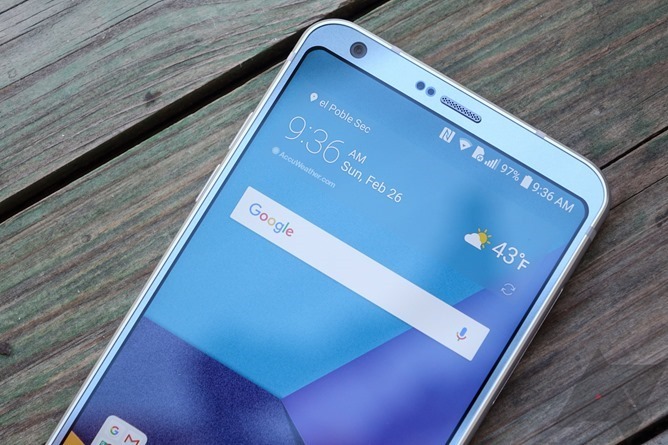 T-Mobile has already unboxed the G6 and says it'll offer it "this spring"
Verizon says the G6 will be available in platinum and black "this spring"
AT&T only said it will sell the phone, no vague date attached, and it will have AT&T's full suite of communication services like HD Voice, Wi-Fi Calling, Advanced Messaging, and Video Calling. Sprint says it'll carry the G6 and it'll be the first HPUE-capable device. No vague date or price yet. US Cellular will also carry the phone, but says it will share more in the coming weeks. There's no official word from Sprint yet, but odds are it will let us know soon enough. Sprint details added above.